The Russian Armed Forces will begin receiving fifth-generation T-50 fighter aircraft in 2019 and S-500 missile systems the following year, Russian Defense Minister Sergei Shoigu said Wednesday. 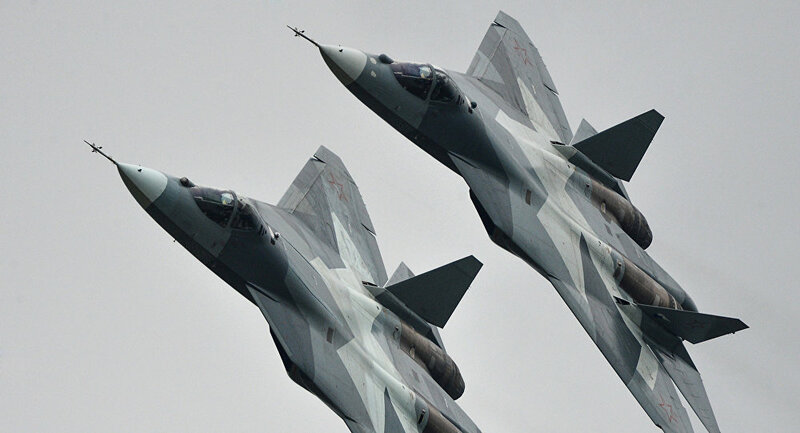 MOSCOW (Sputnik) — Russian Sukhoi T-50 (PAK FA) is the fifth-generation stealth fighter. It is a single-seat, twin-engine multirole jet fighter designed for air superiority and attack roles. The first flight of the aircraft took place in 2010. The S-500 is a new generation surface-to-air missile system with a range of 400-600 kilometers (250-370 miles), designed for intercepting and destroying intercontinental ballistic missiles, as well as hypersonic cruise missiles and aircraft. "Troop deliveries of the T-50 advanced frontline aviation airborne complex [are scheduled] as of 2019, and in 2020 the S-500 air defense system will increase the efficiency of the fight against modern means of air and space attack," Shoigu told lawmakers. In late February, head of the Zhukov Air and Space Defense Academy Vladimir Lyaporov said that the training of the specialists, set to work with S-500 systems, was launched. Top Secret: Why is Russia's S-500 Missile System Second to None?